Jeremy Corbyn leads the British Labour Party. 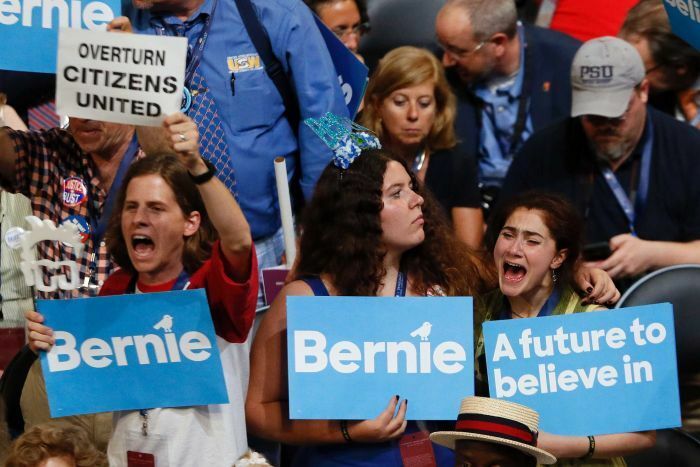 Bernie Sanders came close to winning the Democratic Party’s nomination for the US presidency describing himself as a “democratic socialist”. And the 2018 US midterm elections saw a surge of enthusiasm for Democratic candidates running on policy platforms at least as leftist as Mr Sanders espoused in 2016. That the young are thought to lead the revival for socialism is not surprising. Young voters were prominent in the coalition supporting Mr Sanders. 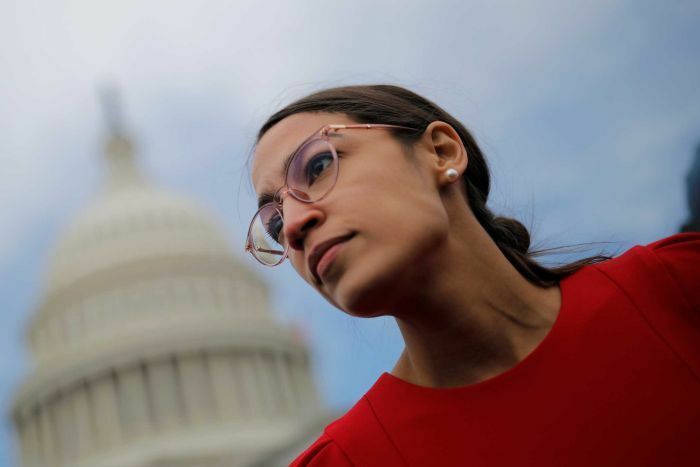 The most prominent face of the leftward turn among Democrats is Alexandria Ocasio-Cortez, just 29 years old and only four months into her legislative career. Ms Ocasio-Cortez is one of the sponsors of the Green New Deal, a suite of social-democratic and pro-environmental proposals, supported by several of the Democratic presidential candidates (eg Senators Booker, Gillibrand, Harris, Sanders, Warren). Australian public opinion also exhibits an unmistakable age gradient, with younger Australians more likely to support Labor — and especially the Greens — than older Australians. But what do people — and younger people in particular — mean when they say they favour or oppose socialism? New polling by the United States Studies Centre and YouGov reveals considerable confusion and ignorance about socialism in both Australia and the United States. Respondents could provide any answer they liked, in their own words. What is your understanding of the term ‘socialism’? Twenty-eight per cent of Australians fell at the first hurdle, with “don’t know”, “unsure” or “no clue” responses. Another 13 per cent of Australians gave answers indicating they understand socialism as being sociable (eg “spending time with friends”, “talking with people”). Just 59 per cent offered a response that was even close to any conventional definition of socialism (greater equality, public control of the means of production, etc). Younger Australians are more likely to offer “don’t know” or the “being sociable” classes of responses. Less than one in three of our youngest Australian respondents could offer an even vaguely correct definition of socialism, a rate that rises to about two in three or better for respondents in their 50s or olde. The “s” word has been thrown around far more frequently in America than in Australia in recent years. Seventy-four per cent of Americans respond with something close to a conventional definition of socialism. Although younger Americans were less likely than older Americans to be able to define socialism, more than 60 per cent of even the youngest US respondents could do so, compared to less than 30 per cent of young Australians. Socialism is generally much more popular in Australia than America, but there are nuances in what Australians and Americans like and don’t like about socialism. Despite plenty of Australians being unable to define socialism, Australians do have strong views on the components of socialism, whether specific sectors of the economy should be owned and operated by the government, by the private sector, or if respondents were indifferent. Here Australians report more socialist preferences than Americans, with clear majorities for government control in six out nine cases, spanning roads and highways (70 per cent), health care and hospitals (67 per cent), public transport (62 per cent), schools and universities (59 per cent), electricity, gas and water (58 per cent) and aged care (53 per cent). A much different picture emerges in the United States. In one only case out of nine — roads and highways — do a majority of Americans prefer government to private sector control or indifference, and only barely, with 51 per cent support. Australians are more likely to support public ownership and control than Americans, but not because young Australians are embracing socialism. Just the opposite. In six out of nine sectors we asked about, older Australians support public ownership and operation at rates of around 75 per cent or higher, typically outpacing younger Australians on this score by more than 20 percentage points. Perhaps older Australians are pining for the “pre-privatised” Australian economy of their youth, while younger Australians have known nothing else. In the United States we see not only less enthusiasm for government ownership across the board, but a reversal of the age gradient we observe in Australia. Younger Americans are almost always more enthusiastic about government ownership than their elders, typically by about 15 percentage points. There’s is the only sector of the American economy with majority support for public ownership and control among any age cohort: roads and highways. This finding helps explains the political headwinds encountered by advocates of public-private partnerships in the United States, including the Australian Ambassador Joe Hockey. Roads and highways have been the domain where public-private partnerships have had some acceptance in the US, with Australian institutions prominent among the private investors and operators. Americans sure aren’t socialist, but roads and highways is the domain where support for public ownership runs the strongest and support for private ownership is weakest (just 23 per cent, compared to 11 per cent in Australia). While generally quite sceptical about socialism, Americans need further convincing of the utility of “Australian style” asset recycling and public-private partnerships as a model for transport infrastructure. Professor Simon Jackman is chief executive and Dr Shaun Ratcliff is a political science lecturer at the United States Studies Centre at the University of Sydney.